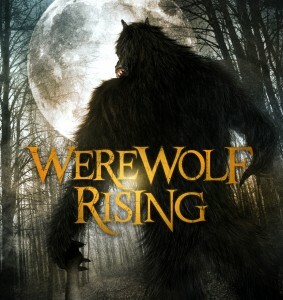 Shock Till You Drop has your exclusive trailer debut for Werewolf Rising, which is coming to DVD on September 8th. BC Furtney writes and directs; he previously helmed Do Not Disturb. Bill Obert Jr., Danielle Lozeau, Melissa Carnell and Irena Murphy star. Desperate for a break from big city life, Emma heads to her familys cabin deep in the Arkansas hills. As she settles in for some much-needed R&R, she learns that something unspeakable lurks in the surrounding darkness. As the full moon rises, a bloodthirsty werewolf emerges from the shadows, slaughtering everyone in its path and revealing a sinister underworld Emma never knew existed. Thrown into a fight for her life, and her very soul, Emma will need to escape these big bad woods before its too late.